In post-Civil War Arizona, a charismatic Apache named Ulzana (Joaquín Martínez, Jeremiah Johnson) escapes from an Indian Reservation. He begins killing local settlers to the dismay of government officials. Veteran Army scout MacIntosh (Burt Lancaster, Elmer Gantry) is hired to capture and/or kill Ulzana. Accompanying MacIntosh is an inexperienced officer (Bruce Davison, Longtime Companion) and his troop. Cowboys vs. Indians, interpreted by director Robert Aldrich (Vera Cruz and The Dirty Dozen) as a metaphor for United States involvement in Vietnam. Ulzana’s Raid works as both a gripping adventure tale and a commentary on the 1970s culture. Ulzana’s Raid raises some important questions and the audience is expected to process various moral dilemmas. Aldrich doesn’t make it easy for the viewer. The “whites” see the “Indians” as subhumans and the “Indians” commit many acts of violence. And Aldrich shows everybody’s good/bad side, muddying the waters even further, which leaves you wondering how this whole thing is going to end. An older but spry Burt Lancaster, who also co-produced the film, gives one of his most interesting performances. He deliberately tones down his buoyant persona and creates a fascinating portrait of man with a foot on both sides of the fence. Bruce Davison is also good as the Christian military man who has problems grasping the core issues. Richard Jaeckel (Sometimes a Great Notion) plays a cynical soldier. Blink and you will miss stuntman-turned-actor Richard Farnsworth (The Straight Story) and Lancaster’s longtime pal Nick Cravat (The Crimson Pirate). Ulzana’s Raid was beautiful shot on location by Aldrich’s regular cameraman Joseph F. Biroc (The Flight of the Phoenix and Hush Hush Sweet Charlotte). Biroc makes the scenery look both beautiful and forbidden. Frank De Vol (The Dirty Dozen), another member of Aldrich’s dream team, provides the fine music score. 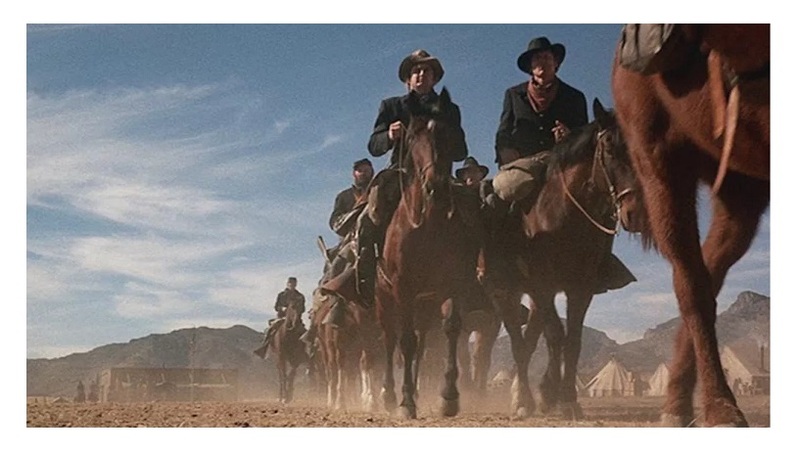 Ulzana’s Raid, sharply written by Alan Sharp(no pun intended), is an adult, exciting western for demanding viewers. Color, 103 minutes, Rated R.
Ulzana’s Raid belongs in the canon of Western classics. Revisionist and traditional at the same time, with a great performance from Burt Lancaster and solid support from Jorge Luke as Ke-Ni-Tay. “Revisionist and traditional at the same time”. Paul S, that’s a perfect description. I should have mentioned Luke’s performance — he is very good indeed! An excellent, grown-up examination of the frontier and the harsher aspects are never glossed over. 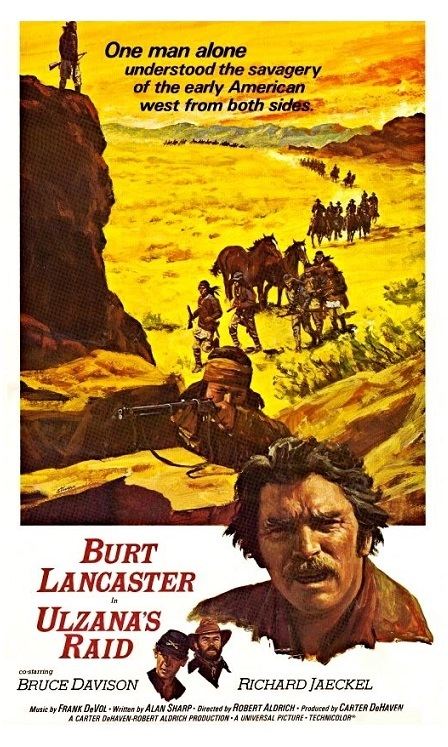 Among the best westerns of the ’70s and a great, thoughtful piece of filmmaking. Agreed. A very interesting western. It deserves more attention.